The Farm Labor Organizing Committee just endorsed our Labor-Community Campaign for an Independent Party! 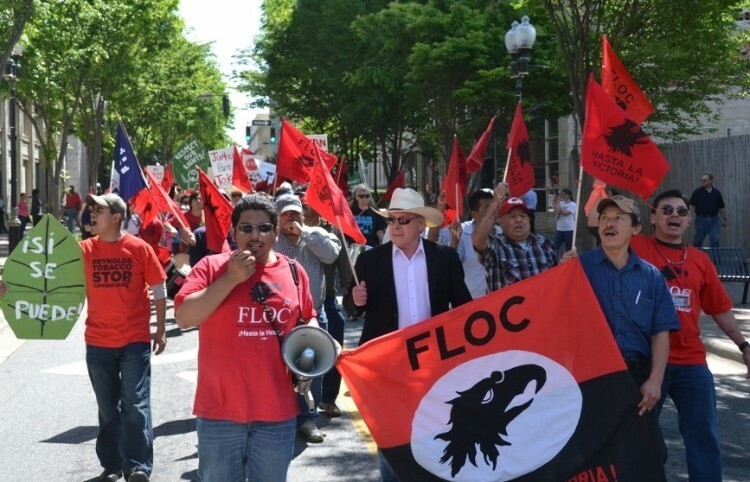 FLOC represents 23,000 mostly-Latino farm workers in the Midwest and North Carolina. Founded in 1967, the union’s fighting spirit has conquered many corporations that took advantage of agricultural workers. They are presently boycotting e-cigarette maker VUSE and seeking a collective bargaining agreement with its parent company, British American Tobacco. The union joins a dozen organizations, hundreds of union organizers, fellow labor leaders, and preeminent intellectuals like Dr. Cornel West and Chris Hedges in joining our campaign for a major new labor-based party. It was just two months ago that we partnered with The Organizer to launch the Labor-Community Campaign. Now a revolt is stirring in labor. We’ve come a long way. If you haven’t already, click here to endorse the Labor Community Campaign. In another win for labor, hundreds of striking Marriott workers in San Jose, which MPP profiled two weeks ago, won a raise and better working conditions on Saturday. Victories that have galvanized 6,000 Unite Here members who remain on strike at 21 hotel properties. In other great news, fresh-off releasing his first stand-up comedy special in five years, Lee Camp joined me on MPP TV last night! His special is too radical for television so he independently produced and released it. It was a laugh out loud dose of sanity and detox from the election season for me. Lee gave us the promo code “UNCLESAM” for a 25 percent discount. He is donating part of the proceeds to Veterans for Peace and Food and Water Watch. Watch the trailer and Lee’s stand-up show here. Because next week is Thanksgiving, we’re having ourNovember national call this Thursday at 9:30 pm Eastern. Join us to recap on election results, growing labor support, and how you can get active in the movement. As the workers say in FLOC, hasta la victoria! If you can, please chip in to support our important work. Thank you.